I am a French comic artist and writer who enjoys stories about being Queer, being a little weird and fantasy. Thanks for dropping by and helping me keep doing what I love most: telling stories! 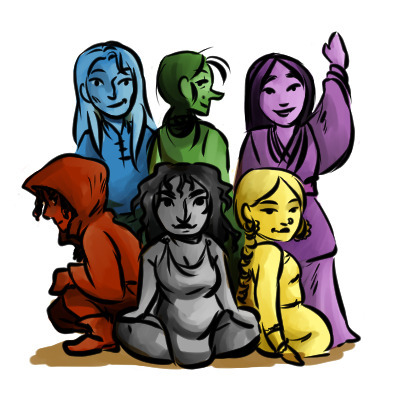 Currently, my main project is a series of distantly related fairy tales with a Queer spin on them. What if both Beauty and her Beast were women? What if the Little Mermaid were, in fact, a Merman? Did Sleeping Beauty really fall in love with her prince, or anyone at all for that matter? Couldn't Cinderella's dreams of the ball be more about the freedom of a dress than meeting a prince? And who said Snow White wanted to be the most beautiful girl in the kingdom, or a girl at all for that matter? These are the stories I'm set on exploring right now, and I hope you'll enjoy them! You get a say in what the monthly wallpaper will be!